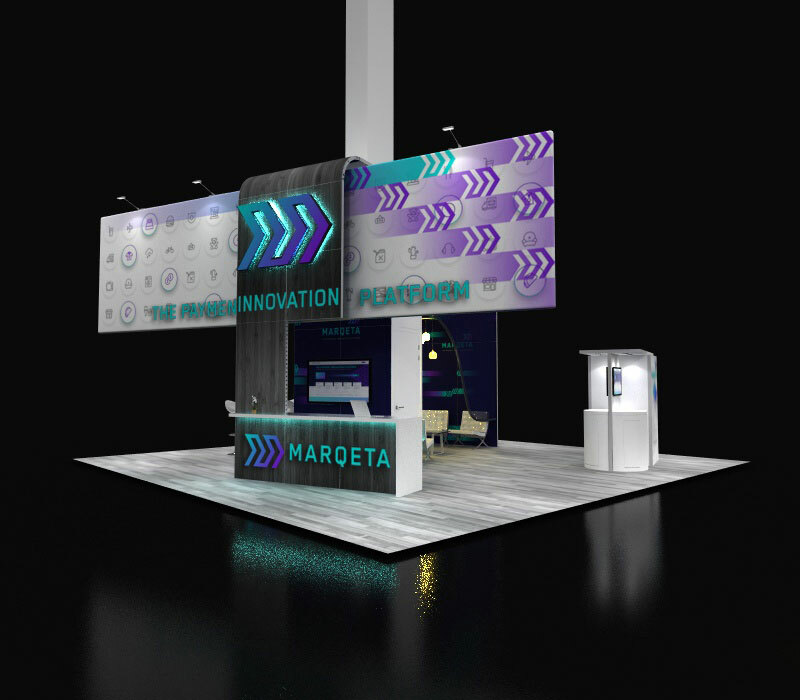 This unique 30 x 30 custom island trade show exhibit has an open floor plan allowing clients to move around your booth easily. 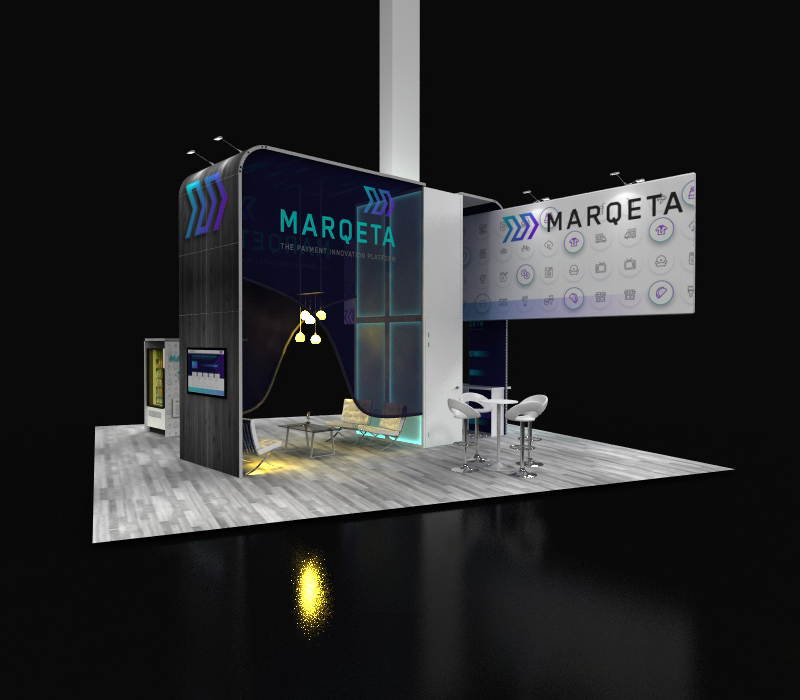 If you have a structure in your booth like a beam, we can design around those elements, like using the hanging sign and tower of this booth. 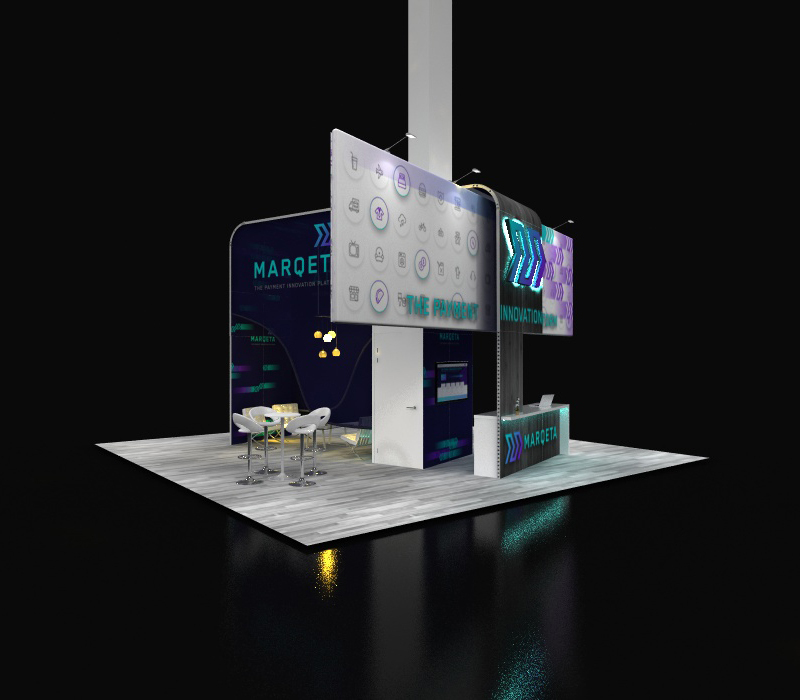 This booth includes 3D logos and backlighting that make the brand colors in this booth pop. 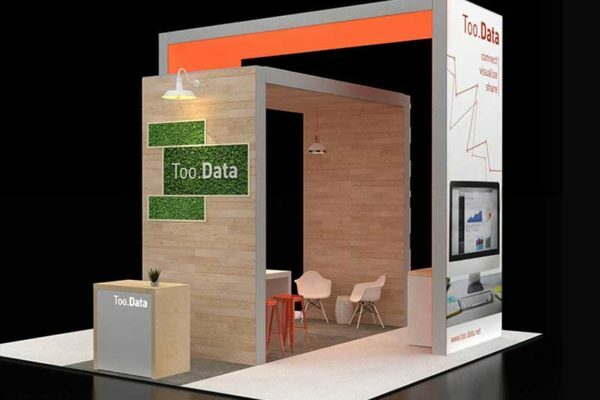 There is a small meeting room strategically place that is built into the architectural design of the booth. 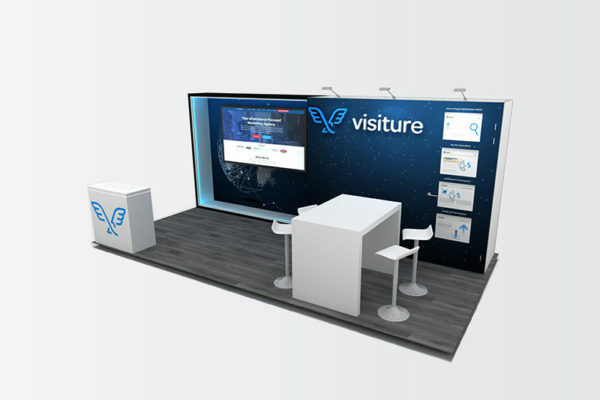 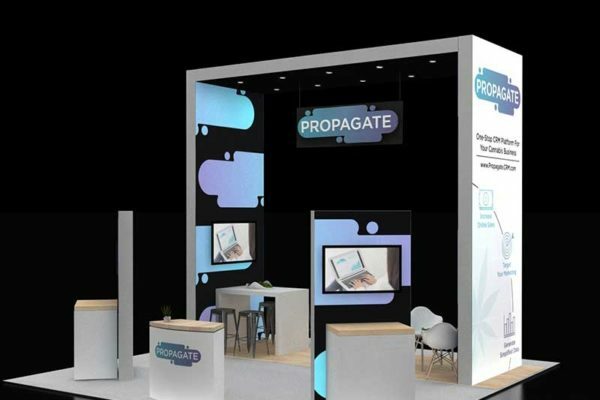 The large reception area, meeting space, and open floor plan will allow you to efficiently connect with your clients and generate leads at your trade show! 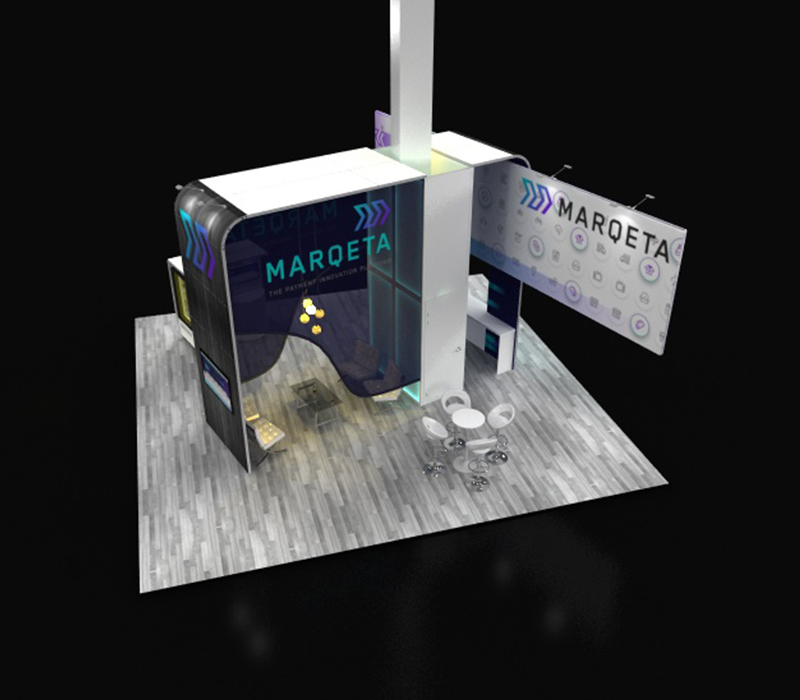 Any elements in this booth can be redesigned to fit your brand, colors, and logo.